The Decemberists have always occupied a singular space — no other artist or band sounds like them. Their music is a blend of acoustic folk, progressive rock, catchy power pop, Celtic tunes, and other far-flung influences. Distinctive melodies are woven with lyrical threads brimming with historical events, colorful characters, and quirky personalities from the past: music for those who like dashes of fables and folklore with their rock. The Decemberists’ use of synths, vintage and otherwise, on I’ll Be Your Girl is the most obvious transformation to the band’s music. The opening trilogy of “Once In My Life,” “Cutting Stone,” and “Severed” are, at their core, classic-sounding Decemberists songs, but each utilizes synths in different ways, creating a new dynamic. Rhythms play an important part on the new album too. “Severed” is upbeat and danceable, while “Starwatcher” is more percussive. “Your Ghost” uses a galloping pace and “We All Die Young” is a crunchy, rollicking rocker with effective use of slapback drum delay, distortion, and a chorus of children. The Decemberists’ knack for dabbling in progressive rock is on display in the eight-minute epic “Rusalka, Rusalka/Wild Rushes,” which rises to a dramatic crescendo. The acoustic title track concludes the album with a gorgeous exhale. Congleton’s influence is apparent on I’ll Be Your Girl. Two of the more obvious fingerprints he leaves on the album are his use of both sparse and dense production techniques, as well as the immediacy placed on Meloy’s vocals. These touches shine a different light on the familiar Decemberists sound. 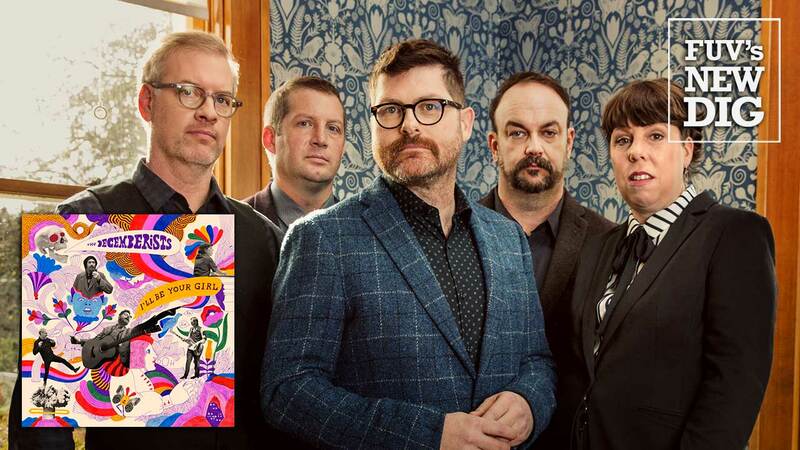 On I’ll Be Your Girl, which arrives 17 years after their debut EP, 5 Songs, the Decemberists find a new route to shake up their signature sound. It's a bold move — they are revitalized and re-energized.